Home > Singapore Culture > How Do You Say ‘McDonald’s’? How Do You Say ‘McDonald’s’? Mac or Mc is a Gaelic name, so we must ask an Irish or Scottish person. Apparently, there is no Irish/Scottish difference between Mac or Mc. ‘Mac’ is actually an individual word that means “son of”. 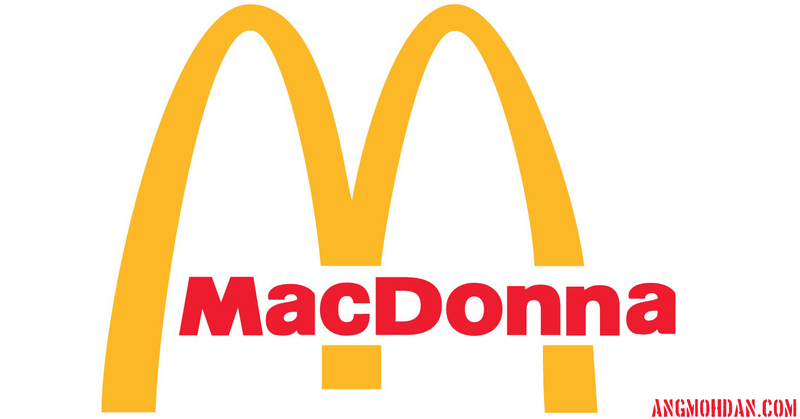 Some families spell it one way, some another: Macdonald is the same as McDonald and Mcdonald. Old records contain spellings Mac and others Mc, because standardised spelling is a very recent phenomenon. The spelling can even change over the life of one person. i.e. birth, baptism, marriage and funeral records could have different spellings.